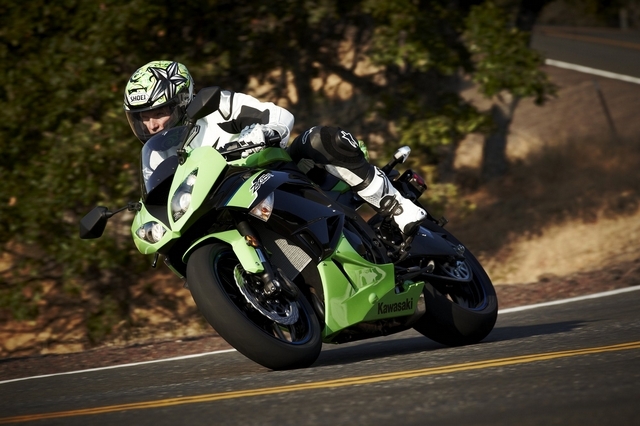 On June 1, 2012, Contra Costa Powersports became the newest Kawasaki Dealer in the bay area. They purchased the existing dealer in Concord and merged the Kawasaki franchise inot their existing store at 1651 Concord Ave in Concord. Kawasaki is a world leader in the powersports industry producing first class motorcycles, ATV’s and side by side’s. Kawasaki is probably best known for their Ninja series of super sport bikes but also produces mid weight uprights such as the 650 cc Versys and Ninja 650. When it comes to cruisers, Kawaskai’s Vulcan series is sure to turn some heads with their classical styling, dependable motors and sizes ranging from 900 cc to 1700cc. In the side by side market, Kawasaki has the widest assortment of products on the market. 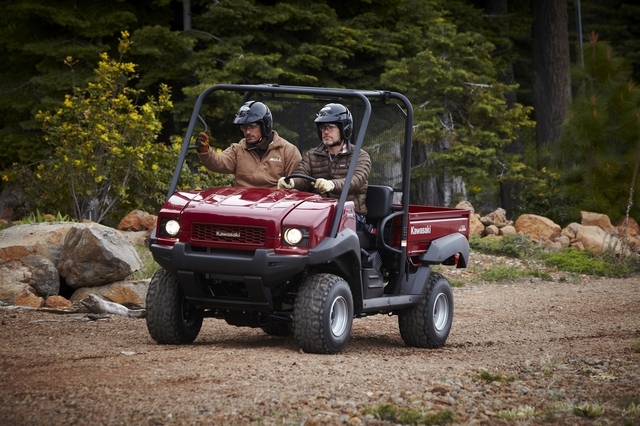 The Kawasaki Mule invented this segment and currently comes in 10 separate models with two motor sizes, two fuel types (gasoline or diesel) and two seating configurations (2 people or 4 people). The mule is perfect for the industrial application (oil refinery, treatment plant, warehouse, etc), the farm/ranch or anything in between. 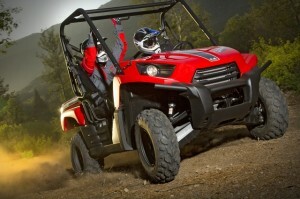 If you want to have some fun on four wheels, the TERYX is the side by side for you. The TERYX features all you could want in an off road machine such as bucket seats, seat belts for all passengers, a wide wheel base for added stability and a 750cc fuel injected motor. It also comes in a two person and four person configuration to meet your off road needs. Contra Costa Powersports stocks all common maintenance parts for your Kawasaki vehicle and has a seasoned service staff to perform any routine maintenance or repairs you may need. Stop in when you get a chance and check out the newest Kawasaki dealer in the bay area. This entry was posted in New Kawasaki Motorcycles on August 6, 2012 by admin.